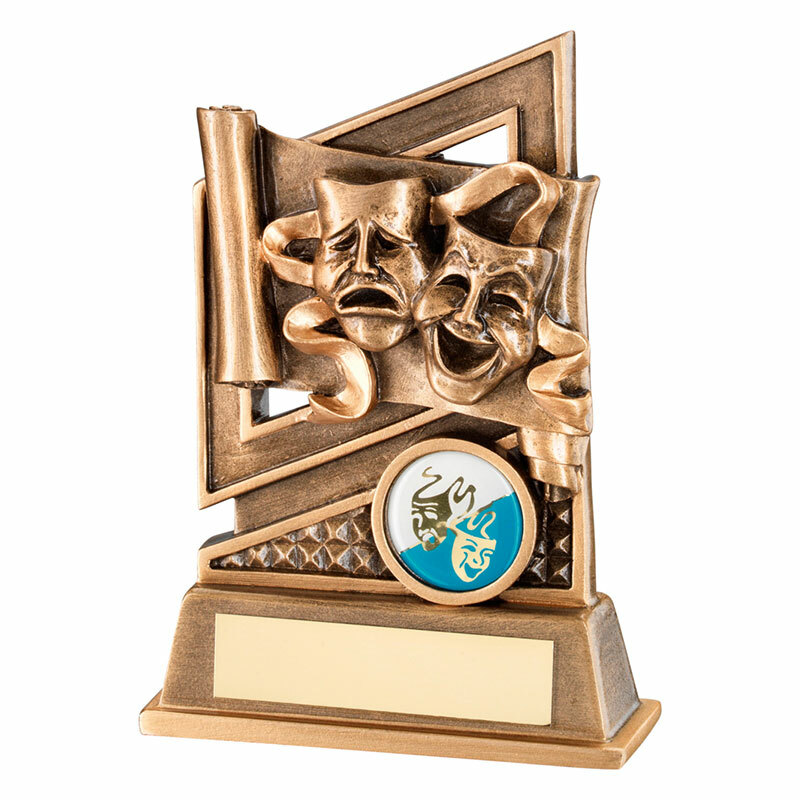 These versatile awards are suitable for recognising and rewarding achievement in a range of dramatic and performing arts. Crafted in durable resin and featuring an attractive antique bronze colour finish, these 5.25in tall trophies include two drama masks set in a scene that includes a ribbon and scroll as well as a 1in drama theme centre. The award is set on a base with engraving plaque and is offered with low cost engraving.